Community Blog by zerocrossing // TIR: Mighty No.9. The rebirth of a classic. TIR: Mighty No.9. The rebirth of a classic. Mighty No.9: a new breed of Japanese sidescrolling action shooter! Mighty No.9 (touted as the spiritual successor to Megaman) is the first project currently in development by indie videogame company "Comcept" founded by the legendary and highly influential videogame developer "Keiji Inafune" best known for having created such popular titles as Megaman, Megaman X, Onimusha, Dead Rising and has also had his hand in many other popular games to come out of Capcom. 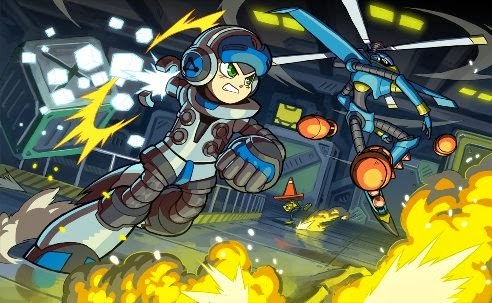 Following Inafune-san's break away from Capcom in October 2010, shortly after the cancellation of Megaman Legends 3 which led to a great many fans being disappointed, he set about founding his own videogame development company in order to make sure that his future projects would not suffer the same fate. 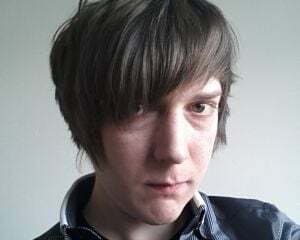 Eventually gaining support from the likes of "Naoya Tomita" who helped in the development of the original Megaman game as well as Megaman 2, 5, 6 and Megaman Legends, "Kimo.Kimo" a talented character designer known for his unique and memorable characters in such popular titles as Street Fighter Alpha 3, Darkstalkers, Red Earth and The Legend of Zelda: Minish Cap, as well as Manami Matsui, who was responsible for bringing us the entire original Megaman soundtrack, and has contributed to other popular games such as Megaman 10, shovel knight and many more. These are just a small handful of the talent that has assembled together to help contribute to the development of Mighty No.9. In the hope of making the companies first project a success they have turned to the popular crowdfunding website Kickstarter, and as of today they are mere hours away from successfully kickstarting their project into the full on development stage with a whopping Kickstarter backing of $3,412,319 and rising. They have also plowed through the majority of their stretch goals leading to a multitude of extra content being added to the final product, including new stages, a bonus: Boss rush mode and a making of documentary to name a few, Mighty No.9 will also be getting current gen console ports, next gen ports to the PS4 and Xbox One and Wii U, and to the delight of many (including myself) Mighty No.9 will now also be getting ported to the PS-Vita and Nintendo 3DS!. Congratulations everyone who contributed to the push. I bring this news to your attention not only in hopes of helping the project gain further backing, but also because I believe the glowing success of Comcept's Mighty No.9 kickstarter project is testament to the popularity and appeal of a genre that frankly many in the mainstream (Capcom most notably) have seemingly decided is no longer worth developing for. So I urge you, fans of Megaman, fans of Keiji Inafune, heck even those of you who have yet to experience or appreciate the talent that any of these videogame veterans have to offer, back this project not only so that Mighty No.9 may be a success but also to support a new talented development company, one which is aiming to not only offer us a new take on a popular genre many of us know and love, but who are devoted to innovation, and who are striving to bring us the best game they can with the help of fan input. Let's all do our best to help make Mighty No.9 a success! Thanks for reading my blog, if you are interested in backing Mighty No.9 then click on this link to head over to the Mighty No.9 Kickstarter page http://www.kickstarter.com/... Also you can check out the vid below to see the Mighty No.9 Kickstarter pitch.